Love was in the air as the newly married Marianne and Paul Charest strolled the gardens of The Carillon Hilton Hotel in St. Petersburg. 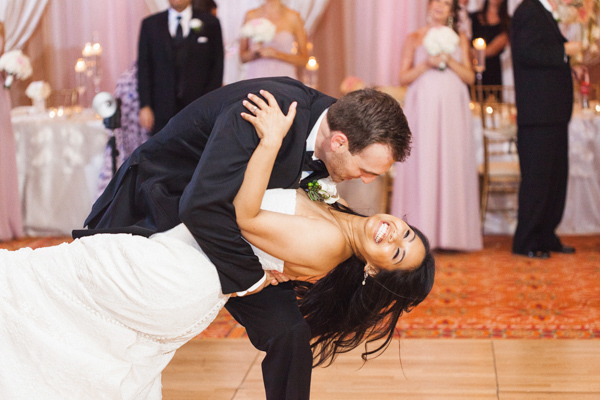 The reception was a tribute to timeless romance, and it was obvious that Marianne and Paul were meant for each other. 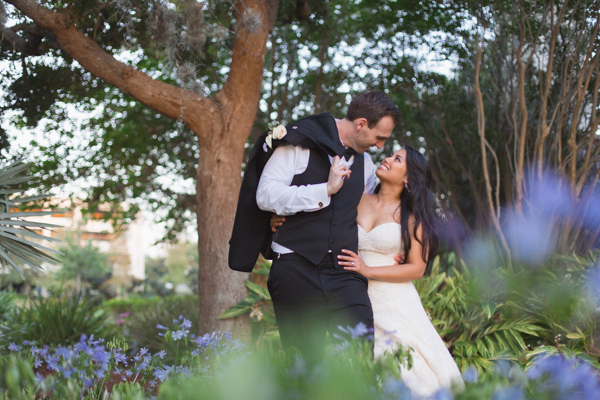 This endearing and playful couple said their vows at Holy Family in St. Petersburg, and then were chauffered to their reception destination as gorgeous, tall and cascading arrangements awaited them. 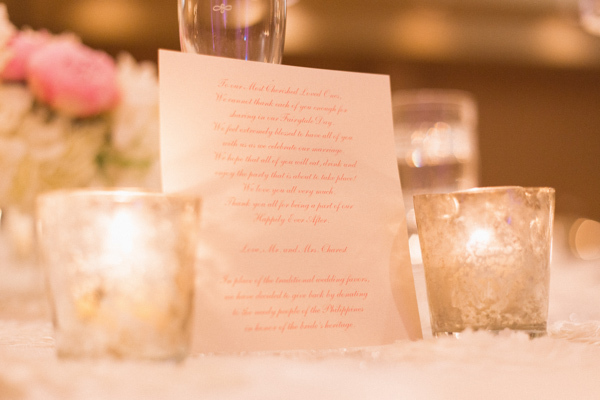 They and their treasured guests dined and danced as the floating candles and mercury votives lit up the room with an enchanting glow. 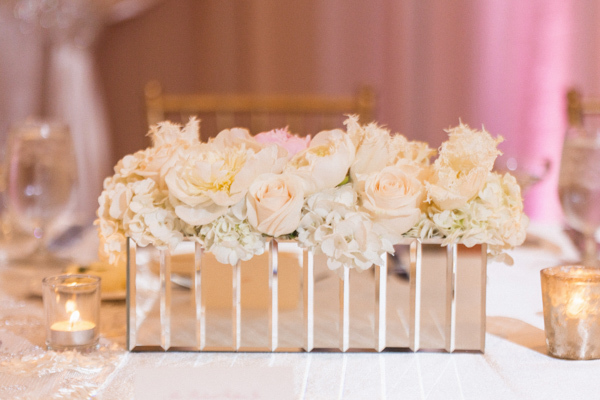 Please, enjoy these fabulous photos captured by K and K photography. 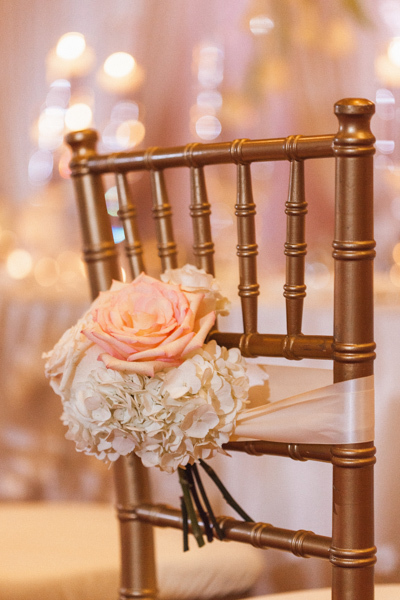 La Vie en Rose provided florals, linens and gold Chiavari chairs. 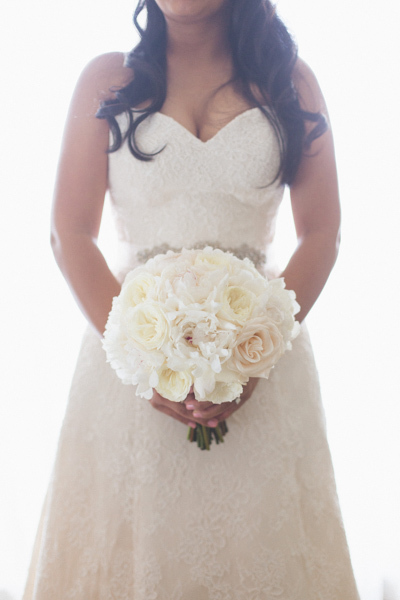 Marianne wanted a classic and timeless bouquet, with roses and peonies. 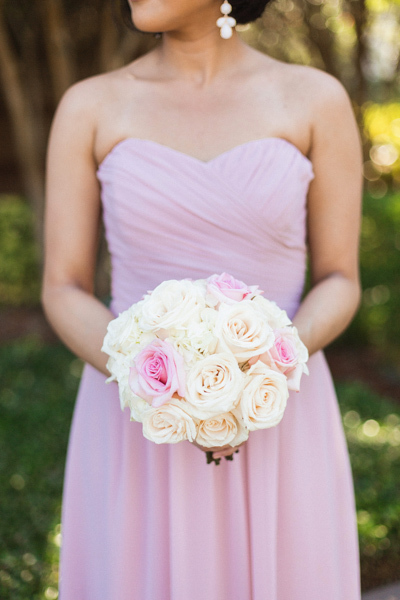 You can see just a hint of blush in the roses! 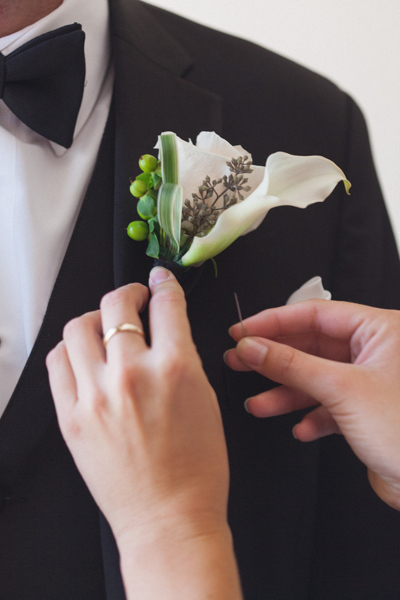 Paul’s boutonniere held a white calla lily, ivory rose, and seeded eucalyptus for a bit of texture. 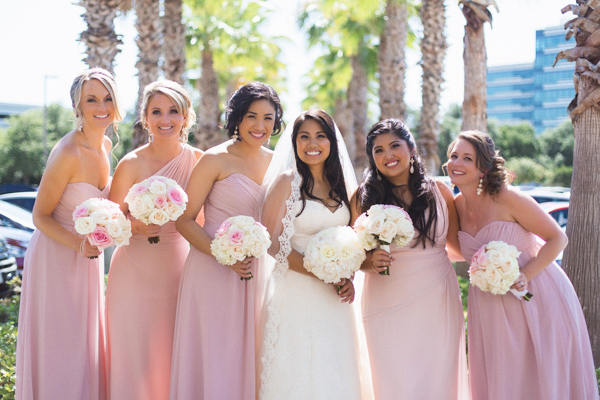 The bridesmaid bouquets were ivory and blush roses with hydrangea. Matching well with those gorgeous, flowy gowns! 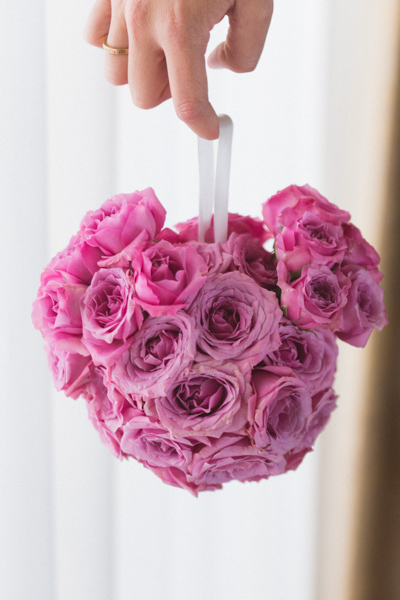 Marianne requested a flower girl pomander that looked like Mickey…and we share her love of Disney, so of course we had to oblige! Marianne with her maid of honor and bridesmaids. All looking classic and elegant! 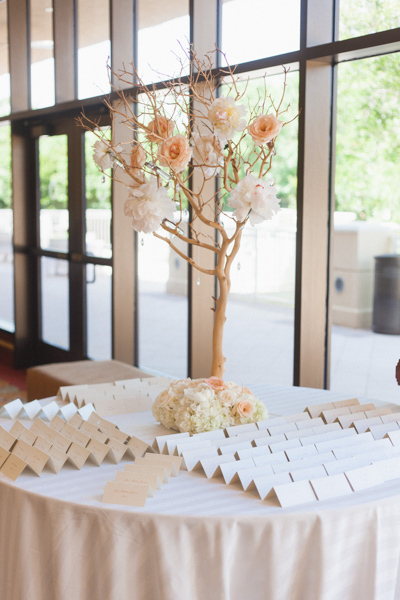 The card table was decorated with peonies and roses in full bloom on a drift wood tree. These mercury votives are so pretty when lit up with candle light. 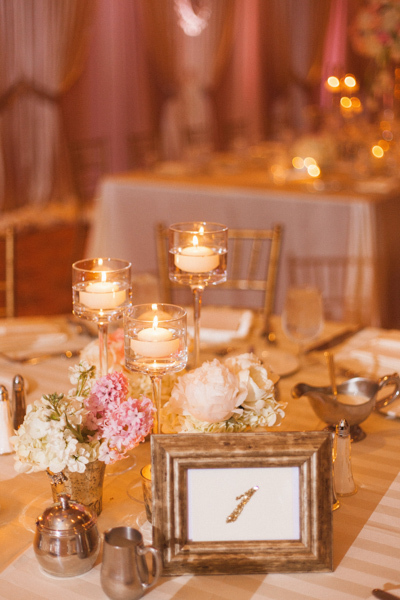 Hyacinth, peonies and stock are paired with hydrangea, and the floating candles in tall stemware complete the look. 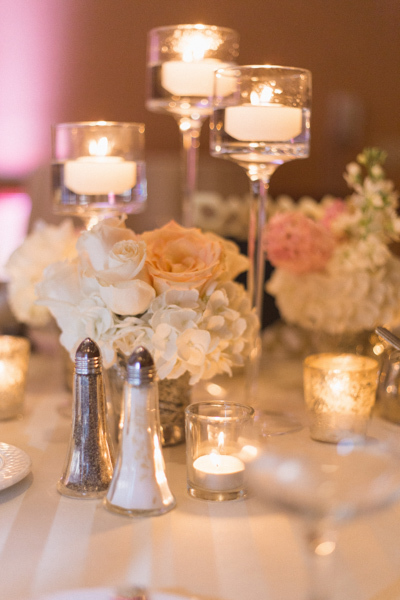 Each centerpiece was made up of three separate, small arrangements that kept the view open for guests around the table. 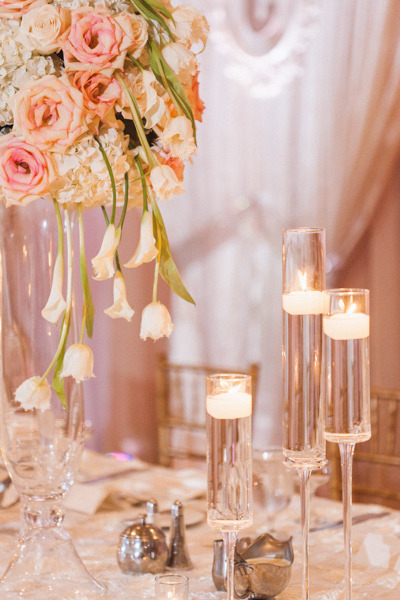 Tall vase arrangements with cascading calla lilies and fringed tulips brought more romance to the wedding party table, alongside the shorter sweetheart arrangements. 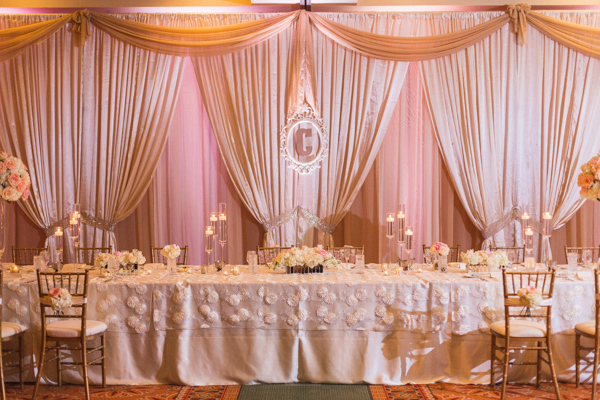 We were honored to provide floor-length dupioni, with a couture flower bloom overlay. 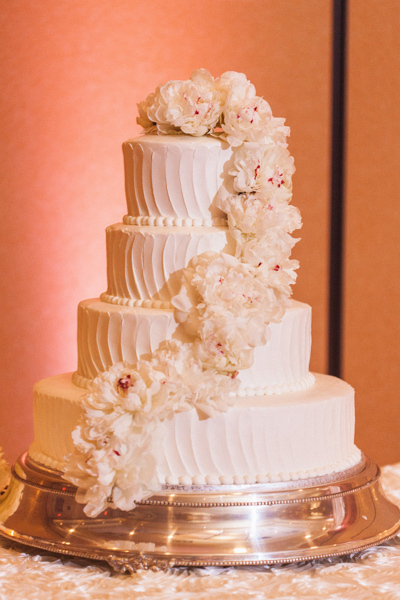 The overlay was sheer, and added soft and decadent texture. 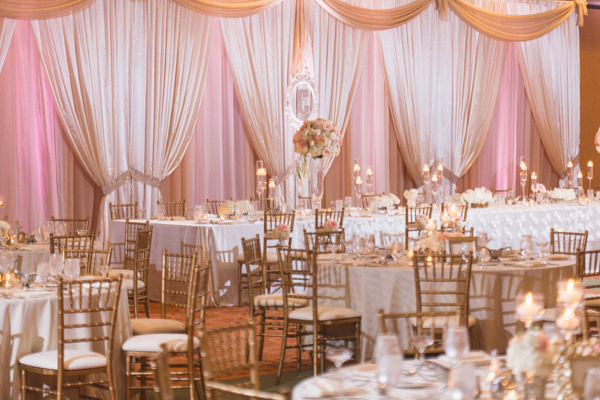 Another view of the room shows how it all came together so elegantly. 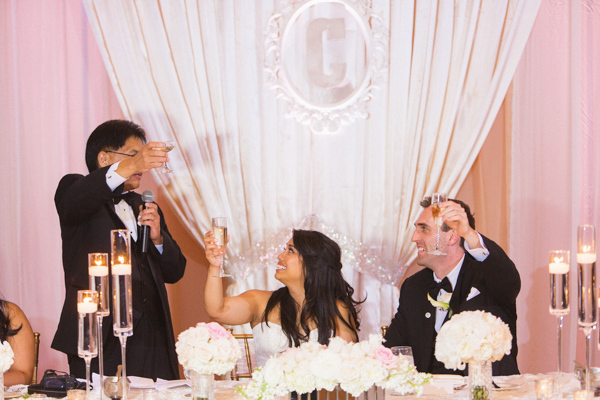 The monogram behind the bride and groom was a beautiful idea! Another view of the tall vase arrangement, which gives a full view of the cascading design. 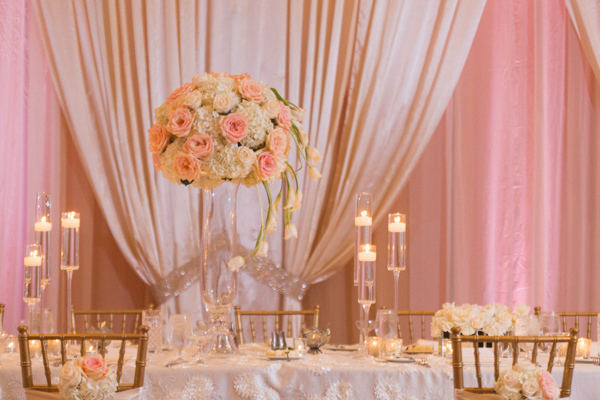 The lower arrangements contained the same elements as their taller counterparts, yet allowed for a full view of the room. 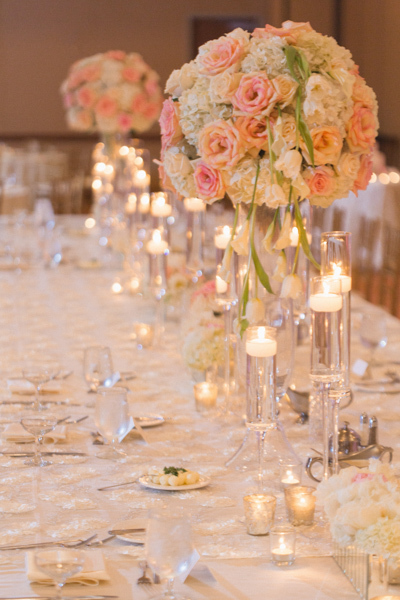 You can see here, the bridal bouquets become part of the centerpiece in our custom crystal vases.